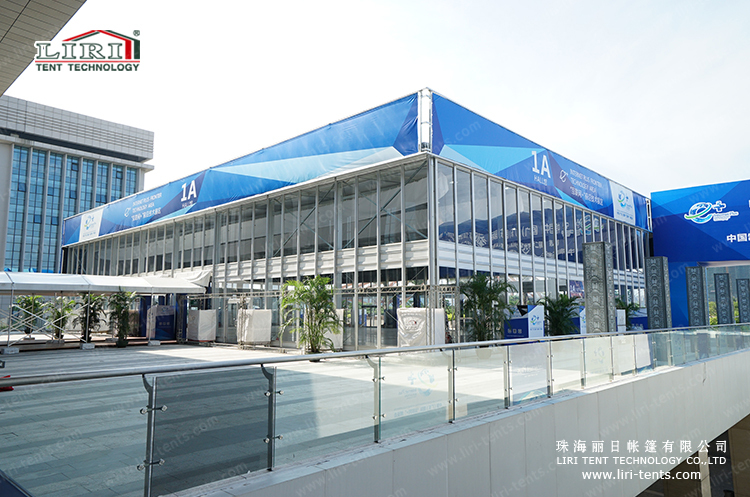 25m Inflatable Roof Double Decker Glass Structures Tent form Liri Tent, based on our double decker structure, which is a new design conformed with the structure principle of Double Decker.This 25m Inflatable Roof Double Decker Glass Structures Tent (Model:CSD) is also made from a modular system like traditional clear span structure. 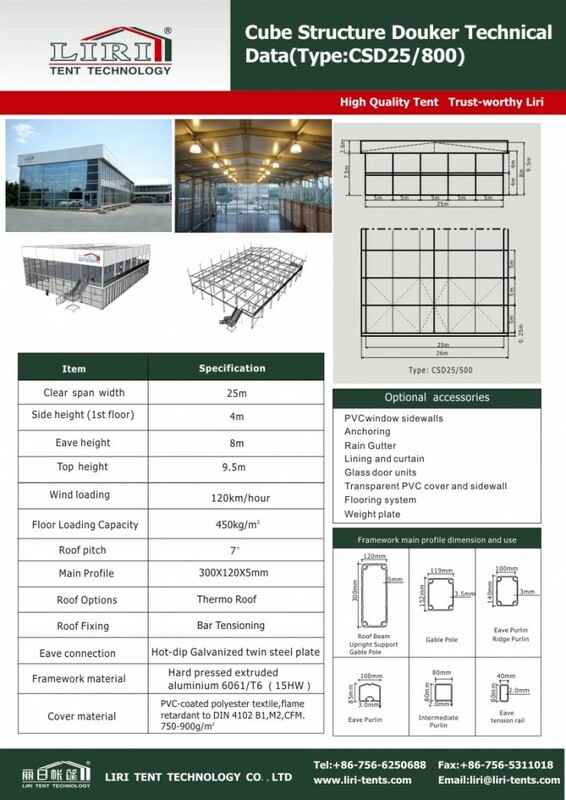 The length can be extended by 5m bay section without a limit and it is the same as the normal structures. CSD model clear span which can be from 10m to 30m. The main profile is 256x121x5mm. 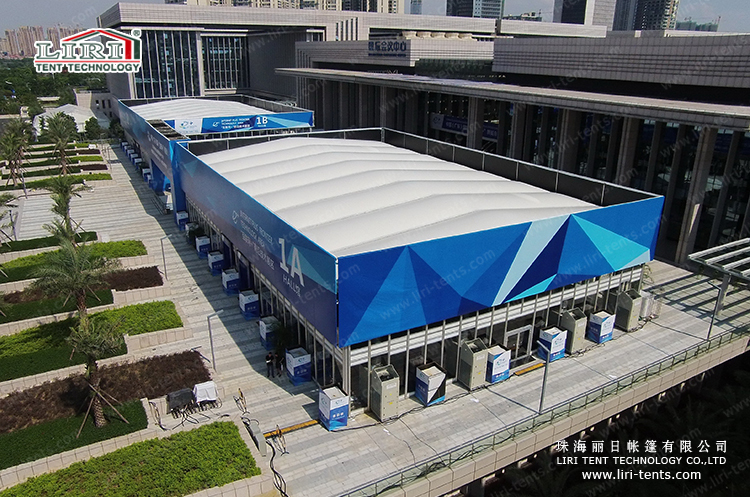 25m Inflatable Roof Double Decker Glass Structures Tent is our project for corporate internet. As more and more customers want to full use the space, so we have double decker tent. 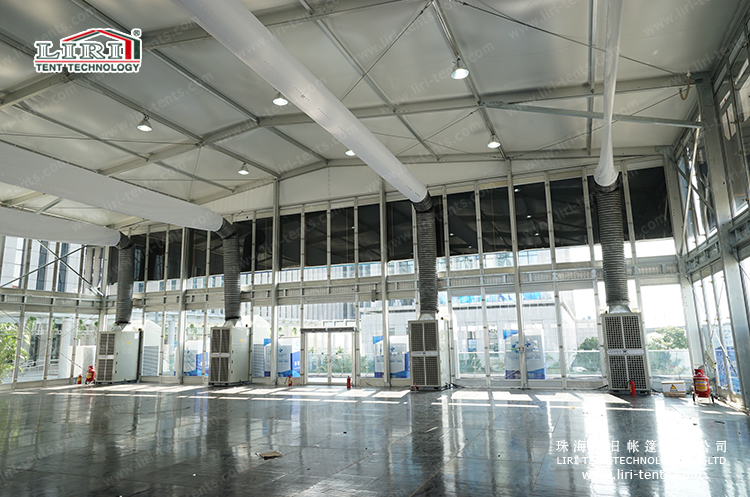 In addition, we make an improvement on the base of the former double decker tent, so here comes our 25m Inflatable Roof Double Decker Glass Structures Tent. Beautiful double decker tent will make your event more attractive!! Pls contact us for a competitive price.